What is Australia’s favourite workout? Walking is a great way to keep active. From 2007 to 2015, there has been a significant increase in the percentage of people who regularly walk for exercise. And with the latest Medibank Better Health Index revealing Aussies are heavier than ever, the increase in walking is an encouraging sign. Other activities such as jogging, swimming and the gym have also experienced small increases. According to Dr Michael Kinchington, walking works in terms of losing weight, improving health and exercising in a mode to avoid injury. 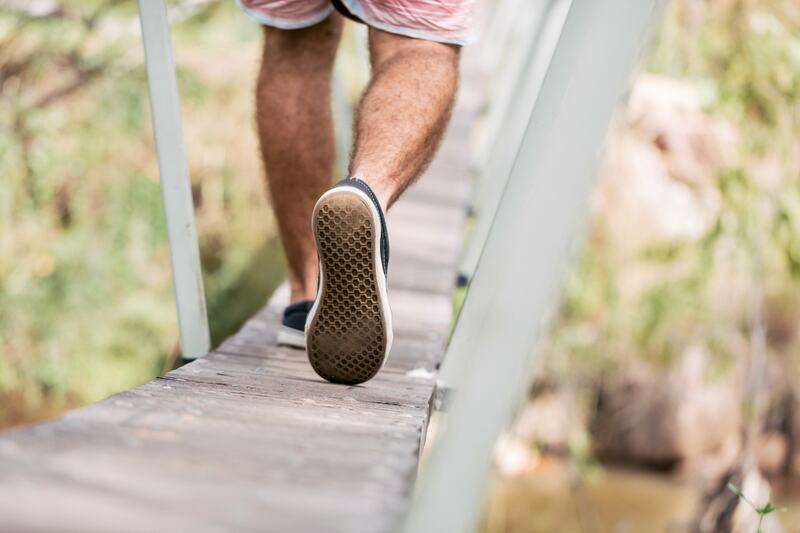 “I have witnessed first-hand the benefits of the walking, having spent the last decade working with some very motivated people on reality TV series, The Biggest Loser,” says Dr Kinchington, a podiatric biomechanist. “Without exception, when the contestants first arrived at the house, none had the capacity to exercise at high intensity—they had to walk before they could run, jump, hop, or skip. Being in excess of 100kg to 150kg means a walking force to the joints of more than 200kg for every step they took. The body cannot tolerate the high demands of such loads, so low impact exercise such as walking is vital.” Dr Kinchington says as little as 30 minutes of walking daily at a moderate pace will make a difference, but you need to plan in advance. Before you put on your walking shoes, here is Dr Michael Kinchington’s checklist to get you started safely. Get a support team. Your doctor is a good starting point. But also consider seeking the support of an exercise physiologist to plan an exercise program, a podiatrist to advise on correct shoes and foot-ankle-leg pains and a nutritionist to plan your food intake tailored to exercise. Make sure you have the right shoes. The only tool you need to walk is a good supportive pair of walking shoes. Yes, you need to buy a new pair of shoes suited to your foot shape. Do not wear an old pair of shoes, or you could end up with an injury. Know your foot shape before purchasing shoes. Are the arches of your feet high, average or flat? Once the correct shoe shape is chosen, look for features that offer support. A wide-based shoe is generally best in the early days of exercise. Replace your shoes regularly. If you weigh more than 120kg replace shoes after 600km, otherwise about 800km is the life of the shoe. Remember, the more intense and longer the exercise, the more calories you burn. If weight loss is the goal, add 30 minutes of brisk walking to your daily routine to burn an additional 150 calories. To lose 1kg a week, you generally need to eliminate 300 calories a day. Read our recommendations on the best exercises for every age.